XK421 & XP282 Auster AOP9’s in South Lincolnshire. 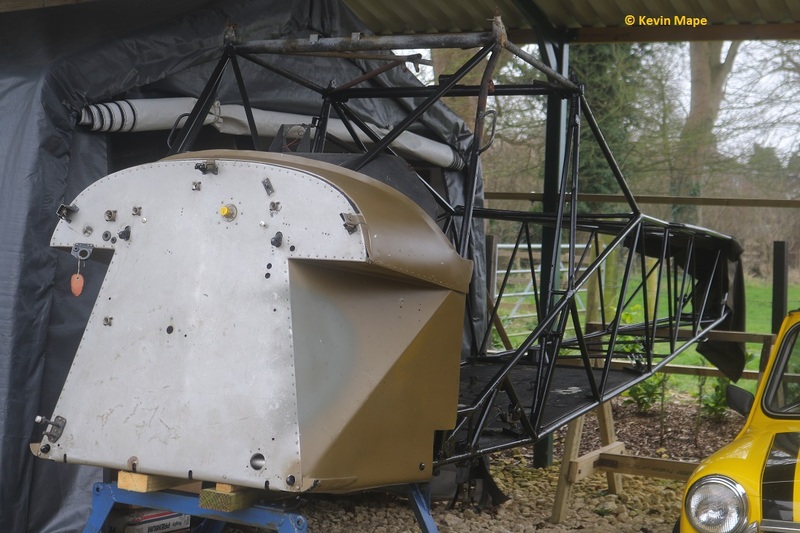 Today the 18th February 2017 I went to take pictures of two Auster AOP9’s under restoration in South Lincolnshire. I phoned the owner of the pair and made an appointment to take pictures of his projects. To protect the Airframes the location is given as in South Lincolnshire. 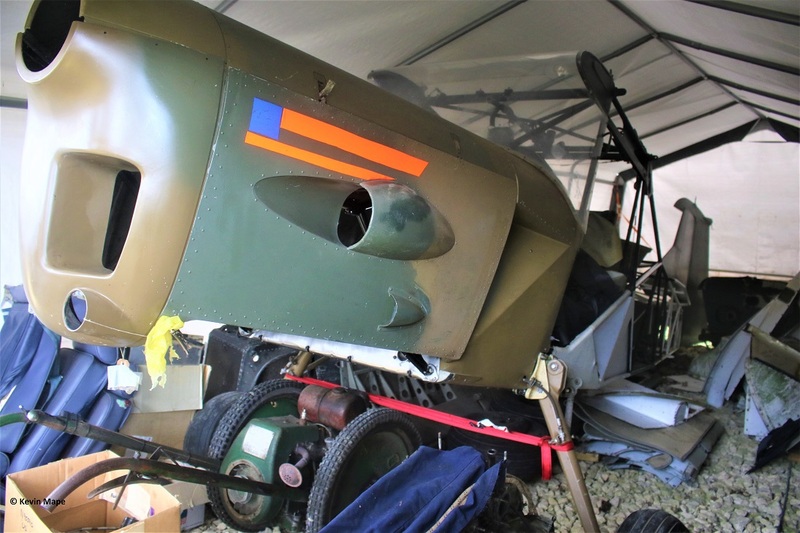 The first XP282 Auster AOP9 is to be restored to flying condition. Built at Rearsby and first flown Jul 1961. Delivered Aug 1961 to Middle Wallop and Allocated to 651Sqn. Allocated to 13 Recce Flight 651Sqn Aug/Sept 1961 at Aldergrove. Transferred to 2 Recce Flight 651Sqn Oct 1961 still at Aldergrove. Allocated to 2nd Royal Tank Regiment. Allocated to Queens Dragoon Guards. To storage at 19 MU St Athan Sept 1965 to Sept 1966. Allocated to 14th Air Dispatch Regiment by Jul 1967 at Odiham. Transferred to 1st Air Despatch Regiment by Jul 1968 at Odiham. to storage at 19MU St Athan by Sep 1969. Stuck off charge Feb 1976 and sold to R.E Daglass at East Dereham and stored. Sold to Stephen Vince Dereham Jan 1979 , Restored to . Placed on the British civil register on 12th Oct 1979 as G-BGTC. Stephen Vince sold G-BGTC 21st May 1980 to Peter John Marsham , Peter was registered as new owner on 3rd June 1980. G-BGTC was then sold to Albert Colin Byrne Norwich on 16th Nov 1983, Albert was registered as the new owner on 3rd Jan 1984. G-BGTC was then sold to Adrianair in London 8th Nov 1988. G-BGTC was sold to Peter Thomas Bolton Nottingham 19th Jan 1989. On the 13th June 1989 G-BGTC had a Accident at 17-43 pm at Tollerton when landing on 09 in a 20 knot wind, The Aircraft swung sharply to starboard causing the port landing gear shock absorber strut to shear, Following the failure the port wing and propeller to strike the ground. G-BGTC was sold on 9th Jun 2006 to Terrane Auster group based at RAF Scampton. Delivered to Middle Wallop 6th Mar 1957. Used for G.I at Middle Wallop 7th Nov 1963 as 8365M. To 19MU St Athan 18th Jan 1967 for storage. Declared Non – Effective 8th Nov 1968 and SOC. To 2021 ATC Sqn at Coldicote 10th Oct 1969. From 1976 it was delivered to Brunel Technical Collage Bristol and used in 1978 for G.I. Oct 1983 to CARG at Innswoth and Broken up for spares in the restoration of XR267. The Frame next went to the Stratford Aviation Museum at Long Marston. The Frame then moved to Doncaster Area. Moved again to South Molton Devon and stored with the Frame of XP286. I will update as the projects progress. I would like to thank the owner for his time showing me around.